Nelly Maiciurani is a young, unmarried Maasai woman from Ololulungo, volunteering at Narok hospital. 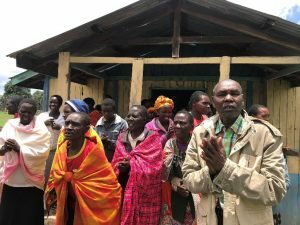 She is also a Community Activist for Orchid Project’s partner Coalition on Violence against Women (COVAW) working to end female genital cutting (FGC) in Narok. As well as being a respected and trusted member of her community, she is passionate about women’s empowerment. In her role, Nelly’s been involved in community dialogue and represented COVAW at Orchid Project’s Knowledge Sharing Workshop (KSW) in Narok in March 2018. At the beginning of the workshop she was quietly taking on new ideas though lacking confidence. Throughout the week she participated actively, sharing experiences and reflecting on how she’d been working in the community so far. As the workshop went on and Nelly participated in activities, she told us she realised the value of non-judgemental, open dialogue and how it could improve the way that COVAW staff speak with communities through dialogue forums. Participants at COVAW’s Community Dialogue Forum, led by Nelly. Five days after the KSW, Nelly was proud and excited to invite Orchid Project to participate in a planned community dialogue forum in Ololulungo. Instead of using the opportunity to give information about the complications of FGC herself, she used the space to share a short story in the local language, Maa, about a young woman who was cut but married into a non-cutting community. Nelly used the story to stimulate the group in open dialogue encouraging female and male community members to exchange ideas and share personal experiences and other stories. Reasons that were discussed by the community in support of stopping cutting included: health complications; the threat of legal action; religion; and problems with marital relationships. Myths discussed by the community that supported cutting included: an uncut woman not being able to cook ugali for her husband; and the blood from her period smelling bad. The lively discussion, which was good humoured and wide-ranging, saw community members agreeing and disagreeing with each other in both challenging and supportive ways. The forum finished with many community members sharing their commitments for change including talking with their neighbours about the discussions. 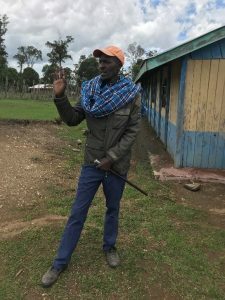 Leshao Ole Kirorei, community leader. This community forum gave Orchid Project a chance to see the genuine impact of KSW participants changing their approaches when working with the community and applying UNICEF’s six elements of abandonment to end FGC.